This motion to review parking laws will invite all stakeholders to make submissions on making improvements to the parking situation. One such obvious improvement I would like to see is asking private car parks to switch to pay-on-exit rather than pay-and-display. This would eliminate clamping in these car parks and provide people with a more attractive prospect to using the town’s car parks. While there are many different ideas that can be explored, I look forward to engaging with businesses, residents and property owners alike to working towards improving the overall parking situation in the town. 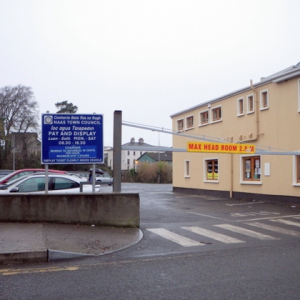 Whatever solution is arrived at regarding parking in Naas Town – traders must remember that parking is primarily for customers. If traders park all day in the premium parking spots this has a detrimental effect on trade. Each time I visit the town ctr. and cant find an easy to park in spot I drive to one of the 3 other shopping destinations depending on what I want to buy. I would much prefer to shop in town if possible. The pay on exit is a really clever idea, I really hope you succeed. I’ve been clamped and it’s really unpleasant. The aggressive clamping does reinforce the idea that the out if town Tesco is just the easiest option for drivers. Best of luck.